‍Helping someone to realize their importance is where I believe purpose starts. 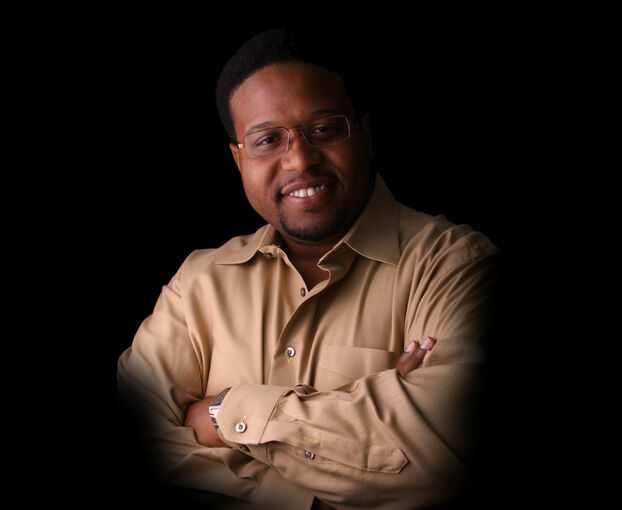 ‍‍‍Chance Wilson a native of Buffalo, New York has over a decade of experience in small business and corporate project development, TV production, strategic planning, and commercial branding as the creator of Binchmark, an award-winning project development company. Th‍‍‍rough TV production and public speaking experience, Chance has executive produced and hosted a list of television programs and interviews ranging from executives to national recording artist and cancer survivor Angela Winbush, Fidel Valdez Ramos, the 12th President of the Philippines, Nascar's Jeffrey Earnhardt, NBC Today Shows Al Roker, to former United States Chief Technology Officer Aneesh Chopra and more. Chance is active in broadcast media development and social development projects as the director of the Greater24 Network. Since its inception in 2014, the network has grown a variety of powerful media and entertainment resources under its umbrella from TV programs that air at prime access times in Virginia and North Carolina; a social network attracting more than 80,000 followers, publications, media production studio, to mobile applications that are available in the Apple App Store and Google Play Stores worldwide. The network reaches individuals in local communities around the world. Other developments lead by Chance have won multiple awards and have been recognized for their innovation and contributions to social development. Overcoming project challenges and diversifying planning strategies along the way is what has contributed to a diverse career. I enjoy building and supporting projects that bring the community together, especially when these ‍‍‍projects can impact all cultures. I still remember the interview I was able to get with the former presiden‍‍‍‍‍‍t of the Philippines. Great experience. Becoming an entrepreneur was one the best experiences in meeting interesting people and challenging myself. Binchmark is a project development and business planning company. Our belief is that it's difficult to support any company’s goal from a singular mindset, lack of communication or limited consumer engagement. Since its inception in 2003, Binchmark operates through several service sub-brands that are owned and operated by Binchmark. These brands service a multitude of challenges that exist among small businesses, corporations, and community development projects. Binchmark has spearheaded projects from their inception to recognition. Binchmark has worked in a variety of areas from establishing operational guidelines that increase project efficiency, staff training, major event coordination, targeted community initiatives to TV broadcast development‍‍‍. Some known entities that have worked with or been serviced by a Binchmark brand include The Fresh Market, Dave & Buster’s, Susan G. Komen Tidewater Affiliate, and Applebee’s. To learn more, please access www.DevelopMyProject.com. "As a financial reporter and author, I look for people of integrity to work with. Chance Wilson not only brings integrity to the business table, he brings cutting-edge creativity and the courage to take risks. I am inspired by this community and business leader!" “Mr. Wilson leads by example and many people find his enthusiasm and dedication both inspiring and motivating as a marketing specialist and consultant. Mr. Wilson‍‍‍ has worked hard to build authentic relationships with many people and his efforts portray numerous talents and considerable self discipline." ‍‍‍‍‍‍"I woul‍‍‍d recommend that anyone who wants to make a difference in the community and to see that change directly to get in involved with the Union Mission. Through a partnership with Greater24 Network's Feed The Cause program we have been able to feed hundreds of individuals that are homeless and in need. Their staff is dedicated to the daily work that's needed to care for these individuals that have experienced challenging situations that could change anyone's life. I commend anyone who puts their life in the middle of assisting someone else to rebuild theirs." 2011 | Awarded the 2011 Best of Business to Business Silver Award. The Hampton Roads LIVE Network won the 2011 Silver Award for Best of Business to Business for Hampton Roads as Best PR/Marketing Firm/Advertising Agency in the region by the Virginian-Pilot and Inside Business. 2010‍‍‍ | Awarded the 2010 Bryant & Stratton College “Commitment to Excellence Award” for the participation of Hampton Roads LIVE as a host site in the Winter 2010, Internship Program. Other nominees included‍‍‍ Sentara Family Medicine Physicians, Chesapeake Care Free Clinic, Thesier Chiropractic Clinic, P.C., and the Virginia Beach Police Department. 2010 | Certificate of Appreciation from Teens With a Purpose presented by Executive Directors, Deirdre A. Love and NBC's Al Roker. 2010 | Certificate of Membership for serving on The School of Business Advisory Committee by ITT Technical Institute. 2009 | Awarded “Business of The Year” by the Aaron Wheeler Group. 2009 | Awarded the Area II NAACP ACT-SO Award for Entrepreneurship. 2009 | Premiered in Inside Business Publication (The Hampton Roads Business Journal) for the successful development of the town hall meeting with Congressman Glenn Nye at the Marina Shores Marina Yacht Club. 2005 | Interviewed by Regina Mobley of Channel 13 (WVEC) for the news segment called “The right ingredients make for successful business”, part of the two part series entitled “Who wants to become a millionaire”. 2017 | Awarded the Community Media Leadership Award for Greater24's development and social impact by the Creating Unity In Our Community (CUOC). The CUOC is a national movement of transformational leaders that promotes cooperation, harmony and peace by building trust in relationships, removing constraints, resolving conflicts and empowering people across racial, ethnic and socio-economic groups in every city across the United States of America. 2015 | Front page article write up in the Virginian Pilot's Beacon Sunday newspaper for "AIM" speech given at the 3rd Annual I’m Powerful Girls Conference by She'Matters GIRLS, INC.
2015 | Interviewed for the development of Greater24 on WVEC 13 NEWS Channel 3. 2013 | The PAOB was featured in a community development news segment by WVEC Channel 13 News for its development of the Envision Youth School Supply Give-A-Way Event that distributed over 500 school supply bags to families in need. 2013‍‍‍ | The PAOB was featured in Coastal Virginia' s 2013 annual publication for the Best of Hampton Roads edition. 2013 | The PAOB was recognized by the Elizabeth City Area Chamber of Commerce as an ECACC 2013 Sustaining Sponsor. 2013 | Awarded the 2012 Community Move-Maker Award from the Teens With a Purpose organization. Binchmark Marketing & Agency Services (BMA) won the 2012 Community Move-Maker Award for the development of a special cause support initiative called BMA Project GIVE that provided various development and news media coverage services to increase awareness and support for charitable causes. This award was presented by the head of economic development for the city of Virginia Beach at the TWP annual gala that was held at the Westin Hotel with special guest, NBC’s Today Show, Al Roker. 2018 | Moderator for iHeart Media's first annual small business awards and ceremony. 2017 | Co-Host for the 2017 Susan G. Komen Race for the Cure (Tidewater‍ ‍‍Affiliate). An event at the Virginia Beach Oceanfront event with over 5,000 attendees. 2017 | Host for the 2017 Ping Pong For Charity Event fighting brain disease with former NBA player, Christian Laettner. This organization has raised over $500,000 to fight brain diseases. 2016 | Keynote speaker for Greater24 Talks on - that was presented by ADT to invited professionals, sales staff and company managers. 2016 | Keynote speaker for Greater24 Talks on - that was presented by Green Run Collegiate High School to their students. 2015 | Keynote speaker at 3rd Annual I’m Powerful Girls Conference presented by She'Matters GIRLS, INC.
2014 | Moderated the ‘Community Day Event’, a run/walk event was dedicated to kids going back to school with a twist. This event held outdoor seminars and demonstrations on healthy eating, tips on exercising to sports. Community businesses and families came together to put on this festival like event and filled the parking lot of a mall. Event supporters included GEM Fitness, North State Law Enforcement, Elizabeth City Area Chamber of Commerce, Neruim/Lauire Shepard, Girls Empowerment, Lowes, Firehouse Subs, Sonya's Grill, PNC, Magic Elite All-Stars, Albermarle Regional Health Services, eyecarecenter, Museum of the Albemarle, U.S. Cellular, Wynner's Circle, Plexus, Southgate Mall, EMG Technology and others. 2013 | Hosted the 2013 Dancing with the Chesapeake Sister Cities Stars at the Chesapeake Conference Center. The Dancing with the Chesapeake Sister Cities Stars event is an annual event to support the growth of the Chesapeake Sister Cities (CSC) organization. CSC works to build international relations for greater communities globally and stronger business development. Proceeds from the event went to Montero Medical Missions for continued development of medical missions. This event was sponsored by the City of Chesapeake, WEBTEKS, Capital One, PAOB Press Network (PPN), WHRO, Professional Association of Businesses (PAOB), COX Communications, Chesapeake Conference Center, ESI, Damuth Trane, UACS, NTS, frontrange, bmcsoftware, TEKsystems, CDW-G, Coastal Karaoke, Quality MusicCenter, Women Who Wine, and SLAIT Consulting. 2013 | Guest speaker for the ADVANCE Small Business Workshop Series Tour with dates in Elizabeth City, NC and Virginia Beach, Virginia. This comprehensive workshop series offered strategies and solutions to overcoming today's challenging business issues. These events were sponsored by the Elizabeth City Area Chamber of Commerce, The Hampton Inn Hotel, College of The Albemarle Small Business Center, and others. ‍‍‍2012 | Guest speaker for 'The Business of Arts' Conference at Old Dominion University for the Cultural Alliance of Greater Hampton Roads leading a seminar on "Marketing The Arts In A High Tech World." 2011 | Guest speaker for the national small business organization called JC+1 at Ruth Chris in the Virginia Beach Town Center. Chance spoke about "The Power of Your Business, Attracting Clients, and Repositioning in Today’s Times." ‍‍‍‍‍‍2011‍‍‍ | Guest speaker at the “SALT” New Year’s Goal Setting Seminar held at Little Grove Baptist Church in Suffolk, Virginia. Chance spoke about the hidden elements of successful goal setting. 2010 | Guest Speaker for the Teens With a Purpose Teen Forum which encouraged youth to take a closer look at the decisions they are making today which will affect and influence their future. 2010 | Guest speaker for The Local Marketing Expo (LMX) at the Virginia Beach Convention Center. LMX 2010 was a one day conference of education and tips to help businesses evolve in the world of marketing. Keynote speakers for this event included Maurice Jones, President and Publisher of the Virginian Pilot, Norfolk, VA, Sharon Frazier, VP of Sales for Cox Media, Atlanta, GA and Kurt Noer, CEO of Customer Magnetism, Virginia Beach, VA. The event was also attended by a representative of GOOGLE. Sponsors for this event included Pilot Media, Cox, Customer Magnetism, Hampton Roads LIVE, The Multi-Media News Network, Admobile, Hampton Roads Chamber of Commerce, Executive Lifestyle Magazine, Retail Alliance and Inside Business. 2010 | Moderated the UMC Community Appreciation Day Event. This event recognized UMC members and friends who volunteer in the community-at-large. This event brought citywide neighbors together and celebrated those who freely serve. The guests included Virginia Beach Mayor William D. Sessoms, Jr.; AARP; For Kids; Lee’s Friends; Lions Club; VBCERT (Community Emergency Response Team); Volunteer Hampton Roads and Widowed Persons. 2010 | Moderated The 5th Chamber Play at the Virginia Beach Sandler Center for the Performing Arts which told the story of the attempt on the life of Pastor Aaron Wheeler by a group of gang members. 2010 | Guest Speaker for the Stop Gang Violence Campout held at the New Hope Baptist Church which encouraged youth not to join and participate in gang activity. 2009 | Guest Speaker at the ULHR Empowerment Summit at the Hampton Convention. Chance spoke about understanding marketing to new entrepreneurs and business owners. 2009 | Guest speaker for the Money Wise Self-Empowerment Seminar with Kelvin Boston, a PBS Television Money Wise Host and Award Winning Author. Chance's Topic: Understanding marketing and becoming successful. 2009 | Guest speaker for the Stop Organization’s Youth In Crisis Program. (Chance's Topic: As a kid you are a KING). Feedback from this topic deemed Chance as one of the best speakers that spoke to the children of this organization. 2008 | Guest lecturer at the 2008 East Coast Ministries Conference held at the Founder's Inn in Virginia Beach. Conducted two seminars on 'Understanding the Power of Marketing for Kingdom Living'. ‍‍‍ ‍‍‍‍‍‍‍‍‍‍‍‍© 2017 GoResearch.Me is a service by Binchmark (DevelopMyProject.com), An award-winning project development company. Kris Paronto - “Tanto” was part of the CIA annex security team that responded to the terrorist attack on the US Special Mission in Benghazi, Libya, September 11th, 2012, helping to save over 20 lives while fighting off terrorists from the CIA Annex for over 13 hours. Mr. Paronto’s story is told in the book “13 Hours” written by Mitchell Zuckoff and his five surviving annex security team members. Mr. Paronto’s story was also told in the movie by famed Hollywood director, Micheal Bay called, 13 Hours: The Secret Soldiers of Benghazi. Tommy Davidson is an American comedian, film and television actor best known for his characters on the TV show, In Living Color. Mr. Davison has also appeared in the films Ace Ventura: When Nature Calls, Strictly Business, and Juwanna Mann. Davidson provided the voice for Oscar Proud, the father in the Disney animated series The Proud Family. Bobby Bonilla is a former player in Major League Baseball who played from 1986 to 2001. Bobby was World Series Champion (1997) and 3× Silver Slugger Award winner (1988, 1990, 1991). Overall, Bobby Bonilla was a six-time All-Star, and had career statistics of 2,010 hits, 287 home runs, 1,173 runs batted in, and a career .279 batting average. Paul O'Neill is a composer, lyricist, producer and founder of the Trans-Siberian Orchestra. They have sold more than 7 million albums worldwide and they are one of the world's top acts playing to over 7 million people in more than 80 cities, selling more than $280 million worth of tickets. Fidel V. Ramos was the 12th President of the Philippines, popularly known as FVR. Ramos also served in the Cabinet of President Corazon Aquino first as chief-of-staff of the Armed Forces of the Philippines (AFP) and also as Secretary of National Defense. Aneesh Chopra was the Chief Technology Officer and in this role served as an Assistant to the U.S. President and Associate Director for Technology in the Office of Science & Technology Policy. He previously served as Virginia’s fourth Secretary of Technology. Doug Williams is the first African-American quarterback to win a Super Bowl. He led the Washington Redskins to their victory in Super Bowl X‍‍‍XII, were he was awarded MVP. Doug is currently the head coach at Grambling State University. Jeffrey Earnhardt is the only 4th-generation professional athlete and fourth generation NASCAR Driver. The Earnhardt family has a long racing history. Jeff is the son of Kerry Earnhardt and the Grandson of 7-Time Sprint Cup Champion, Dale Earnhardt Sr.
Bill McCartney is a former American football player and coach. He is also the founder of the Promise Keepers men's ministry. Promise Keepers successfully held an assembly of 1.4 million men on the United States National Mall in Washington D.C.
Al Roker is a nine-time Emmy winner, weather anchor and host on NBC's Today Show. He is also the host of Wake Up with Al which airs daily on The Weather Channel. Angela Winbush is a songwriter, producer & singer. She was part of the popular R&B duo Rene & Angela with hits "Smile" and "My First Love". Angela was formerly married to legendary singer Ron Isley and she is also an advocate for women's health as she has successfully overcome her own battle with stage 3 ovarian cancer. William Young is the New York Times Best Selling Author of The Shack. The book was originally intended as a book for his six children in order to put down his perspectives on God and on the inner healing Young had experienced as an adult. Dr. Guy Bluford was the first African-American astronaut to travel in space on the space shuttle Challenger in 1983. Dr. Bluford participated in four Space Shuttle flights between 1983 and 1992. Chance has executive produced multiple television segments and news productions on topics ranging from parents dealing with Autistic children, cooking shows to discovering what's behind the operations of an overseas medical non-profit. Chance has interviewed a variety of individuals ranging from everyday people, executives to celebrities. For an overview of projects, please see below. Please note that projects are updated on a periodic basis and may not represent the most rece‍‍‍nt projects. Feel free to follow Mr. Wilson on social network for various updates. It's nothing like working with all types of businesses with their project development‍ ‍‍needs. However, it's a great opporunity to be able to work on developing all types of‍‍‍ TV segments. Check this one out.